(1) This Scheme may be called the Pradhan Mantri Shram Yogi Maan-dhan, 2019. (2) It shall come into force on the 15th day of February, 2019. (3) Subject to the provisions of this Scheme, the unorganised workers have option to become the members of the Scheme, on and from the 15th day of February, 2019. (4) The provisions of this Scheme shall apply to the unorganised workers who are working or engaged as home based workers, street vendors, mid-day meal workers, head loaders, brick kiln workers, cobblers, rag pickers, domestic workers, washer men, rickshaw pullers, landless labourers, own account workers, agricultural workers, construction workers, beedi workers, handloom workers, leather workers, audio- visual workers and similar other occupations. (i) “National Board” has the same meaning as assigned to it in clause (d) of section 2 of the Act. (1) The Central Government shall for the purposes of this Scheme, establish a Pension Fund to be administered by that Government in consultation, wherever required, with the National Board. (2) The eligible subscriber, who joins the Scheme, shall subscribe to the Pension Fund as determined by the Central Government from time to time at the time of such joining in accordance with the age of the eligible subscriber, as specified in the contribution chart appended as Annexure to this Scheme. (3) The Central Government shall also contribute to the Pension Fund the equal amount as contributed by an eligible subscriber. (4) Each contribution payable under sub-paragraph (1) or sub-paragraph (2) shall be rounded off so as to the amount of fifty paise or more shall be counted as the next higher rupee and a fraction of a rupee less than fifty paise shall be ignored. 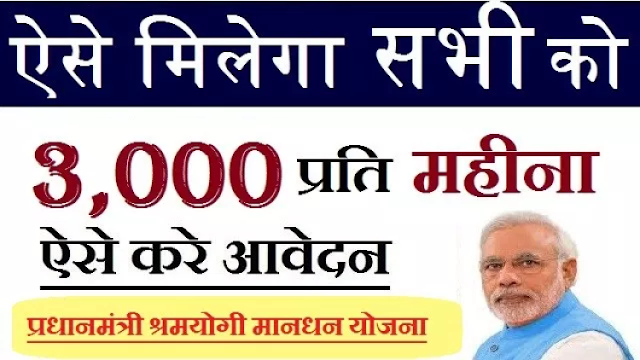 (1) This Scheme shall be open only to the unorganised worker for joining, whose monthly income is not exceeding fifteen thousand rupees and who has a savings bank account in his name and Aadhar number. (2) The unorganised worker referred to in sub-paragraph (1) shall be not less than eighteen years of age and not exceeding forty years of age. (3) The unorganised worker referred to in sub-paragraph (1) shall not be eligible to join the Scheme, if he is covered under National Pension Scheme contributed by the Central Government or Employees’ State Insurance Corporation Scheme under the Employees’ State Insurance Act, 1948 (34 of 1948) or Employees’ Provident Fund Scheme under the Employees’ Provident Fund and Miscellaneous Provisions Act, 1952 (19 of 1952) or he is an income-tax assessee. 5. Recovery of damages for default in payment of contributions:- Where an eligible subscriber makes a default in the payment of any contribution to be payable by him under this Scheme to the Pension Fund referred to in sub-paragraph (1) of paragraph 3, then, he shall be allowed to regularise his contribution by paying his entire outstanding dues, along with interest of the rate as determined by the Government of India in the Ministry of Labour and Employment from time to time. (ii) in case of such difficulty in implementation, the issue shall be referred to the Central Government, whose clarification thereon shall be conclusive. (vi) any other exit provision, including nomination, as may be decided by the Central Government by issuing instructions from time to time. 8. Benefits on disablement:- If an eligible subscriber has given regular contributions and become permanently disabled due to any cause before attaining his age of sixty years, and is unable to continue to contribute under this Scheme, his spouse shall be entitled to continue with the Scheme subsequently by payment of regular contribution as applicable or exit the Scheme by receiving the share of contribution deposited by such subscriber, with interest as actually earned thereon by the Pension Fund, referred to in sub-paragraph (1) of paragraph 3 or the interest at the savings bank interest rate thereon, whichever is higher. 9. Benefits to the family on death of an eligible subscriber:- During the receipt of pension, if an eligible subscriber dies, his spouse shall be only entitled to receive fifty per cent. of the pension received by such eligible subscriber, as family pension and such family pension shall be applicable only to the spouse. (1) Each eligible subscriber under this Scheme shall receive assured minimum monthly pension of three thousand rupees after attaining the age of sixty years. (2) Once the eligible subscriber joins this Scheme at the entry age between eighteen to forty years, such subscriber has to contribute till attaining the age of sixty years and on attaining his age of sixty years, such subscriber shall be entitled to get the assured minimum monthly pension of three thousand rupees with benefit of family pension specified in paragraph 9, as the case may be.